Many of us try to uninstall internet explorer , in this article i tried to put the steps so you can uninstall internet explorer successfully. If you're trying to uninstall Internet Explorer because of an issue with the browser, first check to see if a solution is listed in Internet Explorer Help and How-to. 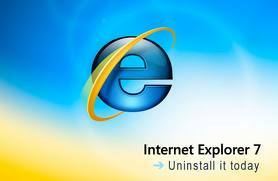 Right-click Windows Internet Explorer , click Uninstall, and then, when prompted, click Yes. Restart now (to finish the process of uninstalling Internet Explorer and restore the previous version of Internet Explorer).